If you need a management agreement drafted specifically for your needs or reviewed click here to contact me now. 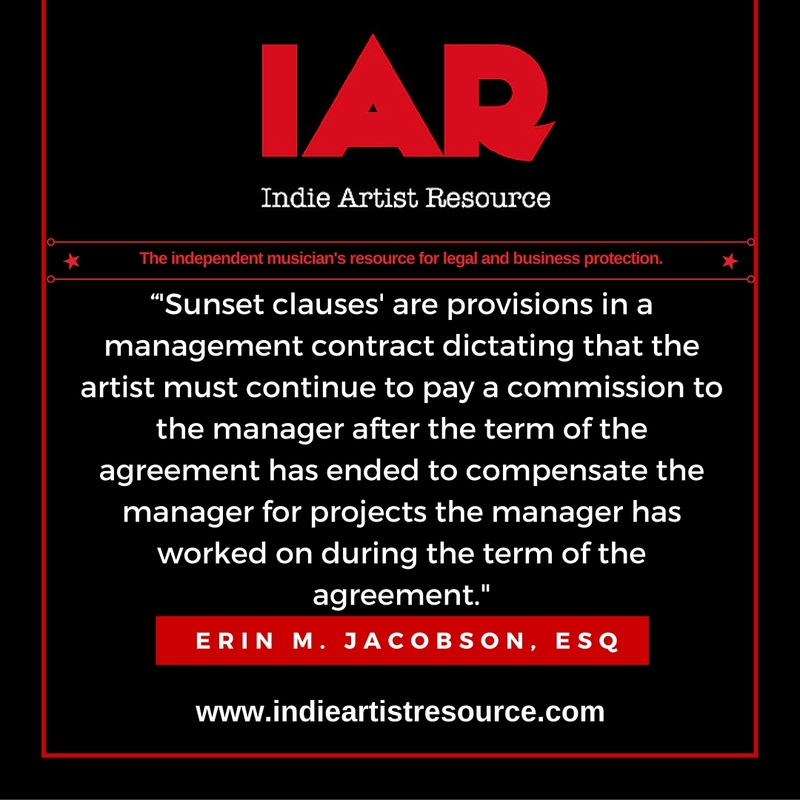 Articles, business, commission, commissions, contract, Erin Jacobson, erin m jacobson, find a music attorney, lawyer, legal, los angeles, management, manager commission, manager percentage, music, music attorney, music attorney la, music attorney los angeles, music business, music contracts, music industry, music law, music lawyer, music lawyer la, music lawyer los angeles, music management, royalties, sunset, sunset clause, sunset provision, Tags: attorney. Bookmark.